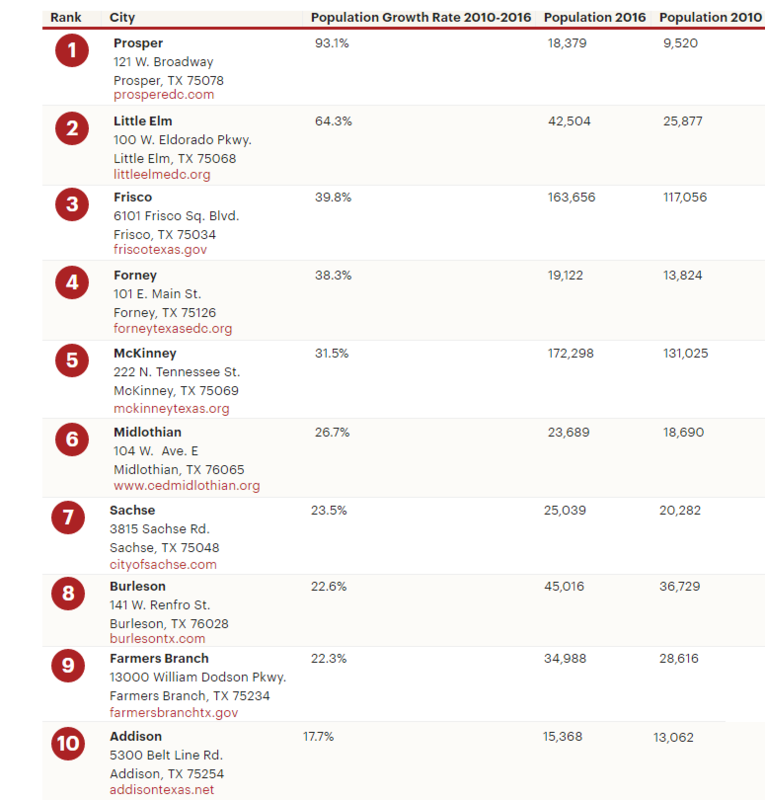 ​NORTH TEXAS – ​The Dallas Business Journal has released the ​list of the fastest-growing North Texas cities. Information was obtained from percent change in population growth from 2010 to 2016, using the most recently updated U.S. Census Bureau population estimates. Only cities with 2016 estimated populations of more than 10,000 were included. For the full list of the 25 cities click here (requires subscription).